The volunteers are eager to share about monkeys to wild boar, birds to butterflies, crabs to mudskippers, and fascinating plants of the mangroves and shores, some of which are rare elsewhere. If we are lucky we may encounter otters or even a dugong. 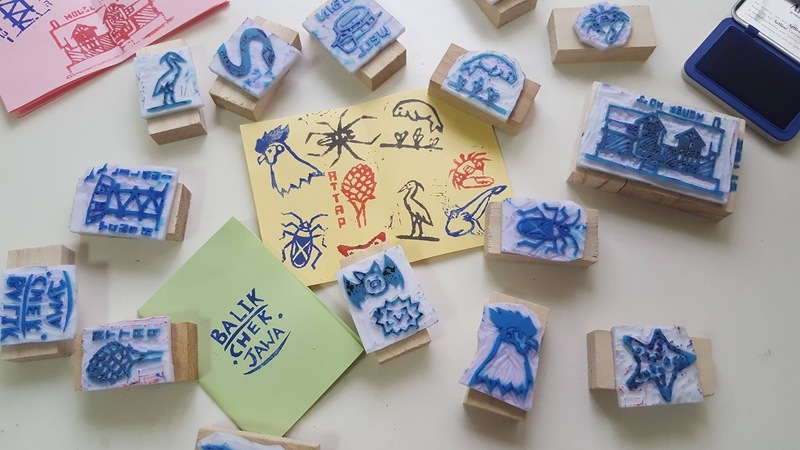 Volunteers have hand-carved stamps of Chek Jawa! Kids will get a 'passport' to collect these stamps! Come and get your 'passports' stamped by our guides! 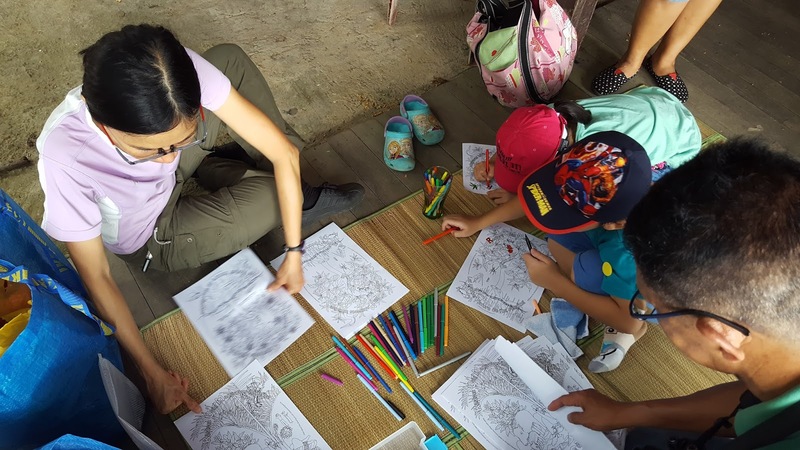 There are also FREE colouring sheets! And lots of other fun kids' activities at House No. 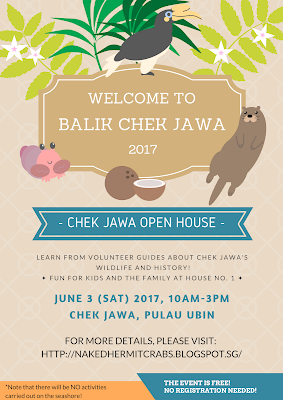 1, Chek Jawa's Visitor Centre. 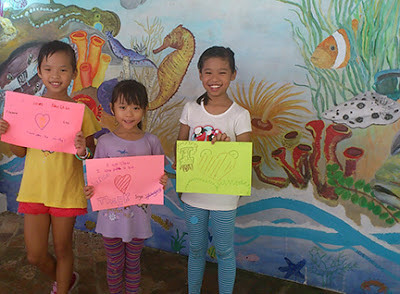 This activity is by the Chek Jawa community, led by the Naked Hermit Crabs with friends of Chek Jawa like NParks Chek Jawa volunteers, TeamSeagrass, Restore Ubin Mangroves (R.U.M) Initiative and Toddycats. (There will be NO activities on the seashores). Meeting point: Chek Jawa Info Kiosk, 3.3km away from Ubin Jetty (map). About 1.5-2 hour walk, 15-min van ride. More on how to get to Chek Jawa. The NParks Chek Jawa intertidal walks that happen during Pesta Ubin are listed here. 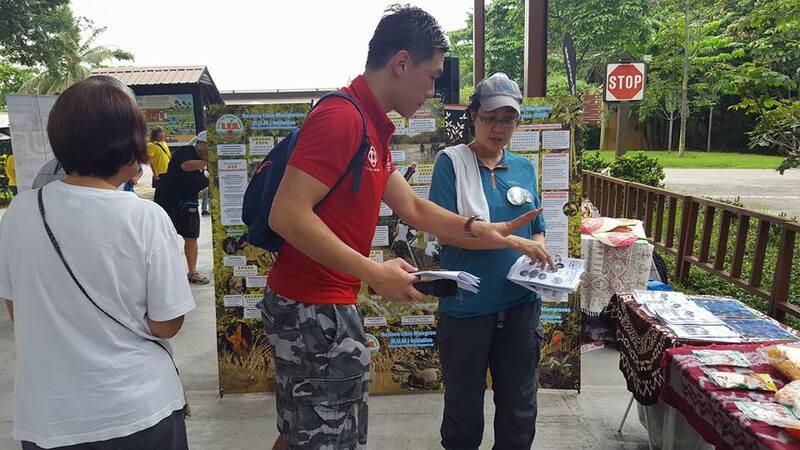 The Naked Hermit Crabs conducts free guided walks at Chek Jawa every month for families and kids. These are on the boardwalk and do not go down to the sea shore. The walks are free, but registration is required. More on the Naked Hermit Crabs blog.